RitzPix offers the best online photo printing so you can preserve life’s most treasured moments. 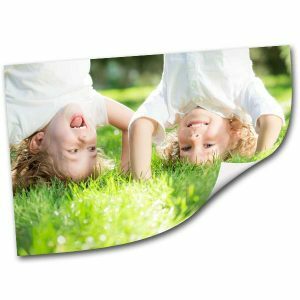 Whether you need online photo prints, a photo poster collage or a photo enlargement, we have a variety of sizes to select from, all printed on an array of photo paper options to customize your order to your needs. Go big or go small. Share your prints with family and friends or display them in an elegant frame to update your décor. No matter your printing needs, RitzPix makes photo processing fun and simple! Not only do we offer high quality prints, but they’re conveniently delivered right to your door. Placing your order takes only minutes. 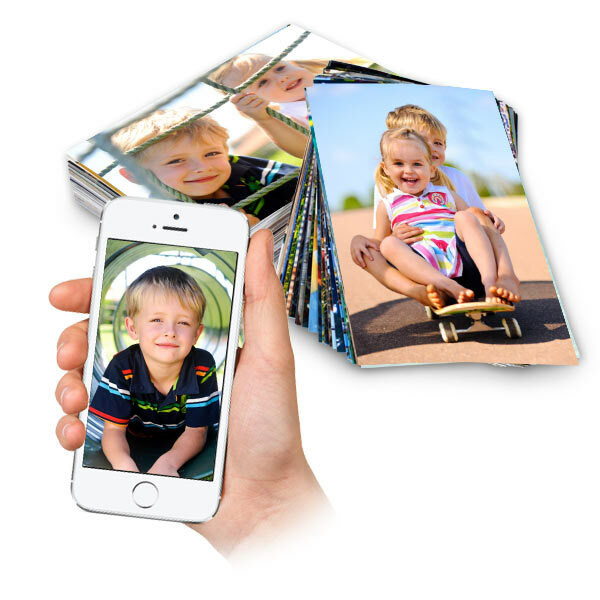 Upload pictures directly from your phone, computer, or Facebook, choose your sizes and quantities, and finally enter your shipping address to have your order sent to your home where you can share your prints with family and friends. With our RitzPix app, you can easily order everything from 30×20 photo prints to custom photo canvas prints. Download the RitzPix app free to your iPhone and select photos for printing on a variety of products directly from your phone’s camera roll. It’s simple, convenient, and your order is safely delivered right to your door! Maybe you have pictures to print online that have been stored on your smart phone or computer hard drive. Or, you want to fill up your family album with professional photo prints full of striking color and contrast. RitzPix offers cheap photo prints in sizes large and small for any photo printing project. From 4×6 photo prints to our traditional 5×7 print size, you can choose from glossy and matte prints to fill up an album, frame on your favorite side table or send to loved ones.Or, if you want to go bigger, our 11×14 prints are perfect for framing and dressing up your home with character. 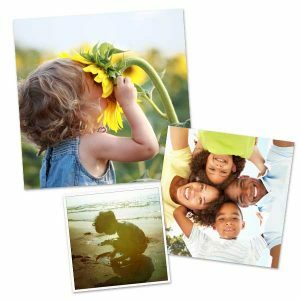 Our cheap 5×7 photo prints are great for all printing projects because of their versatile size. 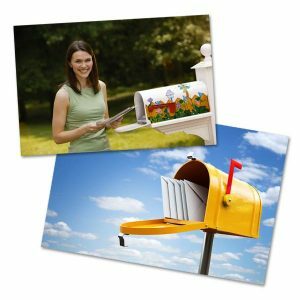 Print your vacation pictures, school photos, little league memories and so much more on glossy or matte 5×7 prints. If you want to go a little bigger, our 8×10 photo prints can be ordered to fill up elegant frames around the house or fill up your scrapbook with memories. Print high quality photos on our Fuji Crystal silver halide photo paper to preserve life’s most cherished moments for years to come. Enlarged photo prints take you memories a step further by transforming them into gorgeous framed wall art! At RitzPix, we have several photo enlargement sizes so you can convert picture to poster in minutes! Maybe your wall décor is lacking character or you have a stunning family vacation photo taken at the beach that you want to show off. Simply upload your photo and choose a poster print size to showcase your picture. 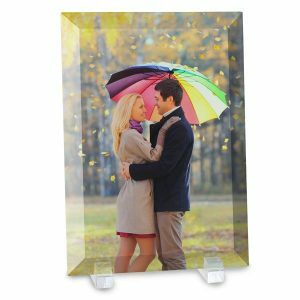 RitzPix is perfect if you’ve been searching for 24×36 poster printing or you have a classy frame that would fit a high quality 20×24 print. We make the process simple. Make a poster from a picture online with just a few simple steps. Once your poster print arrives, you can add it to a frame to add character to you wall décor while reliving a prized moment. Not only do we offer large format prints, we have photo enlargements on canvas, which are another great way to show off any beloved picture. Print a collection of photos together with our custom photo collage prints. Our collages can be framed and displayed to bring a little life and character to your home decor. We even have multiple solid color and patterned collage backgrounds to match. Just upload your picture to RitzPix to begin your layout and finish it within minutes. Collage photo prints are perfect for a series of photos from a particular occasion or you can mix up photos from years past. We also offer a variety of sizes so you can create a collage for your family album or a photo poster print to hang on your wall. 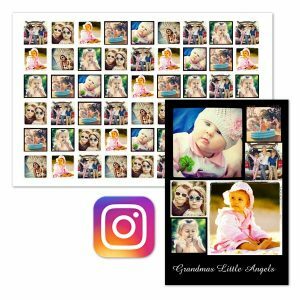 Perfect for Instagram photos and your other favorite digital images, our square prints can be custom cropped to artistically showcase your photo’s subject. Order 4×4 prints with white borders to give your family album a classic look. Go a little bigger with our 8×8 photo prints and frame your most popular Instagram picture on your wall. Matte prints and glossy photos are classic options when it comes to printing photos! That’s why we offer the highest quality glossy and matte photo print paper, so you can enjoy the best quality color and clarity. Order matte photos to display in a stylish frame or go with glossy prints for your family album. You can easily select your option at checkout before placing your order making the customization process a breeze! In addition to traditional online prints, we offer giclee prints that will incorporate a sophisticated, gallery like feel into your décor. Printed on ultra matte paper, the colors are bold and transform any photo into a work of art worthy of framing. Choose from 11×14 prints or order a fine art poster print with our 24×36 size. Order photos online with RitzPix and take it to the next step with our fine art photo prints. What is metallic photo paper? The difference between metallic and matte or glossy prints is striking. Not only do we offer several metallic print sizes, they give any photo a 3D effect, with richer blacks and bolder colors printed on a pearl surface for a shimmering beauty that can’t be beat. Printing metallic finish photos offers a whole new perspective to showcasing your finest photographic masterpieces! We also have them in several sizes including classic 8×10 prints, 11×14 prints or a 20×30 poster print option so you can add them to your album or frame them on your wall. Take the next step beyond online photo prints and create your own scrapbook prints to fill up your treasured family album. With RitzPix, you can easily create scrapbook pages to print using your own photos, text and our large selection of templates. Print digital scrapbook pages with just a few easy steps and fill up your memory album with your best moments from years past. Use our Instagram poster maker to show off your best Instagram snapshots. We offer three Instagram poster sizes each with a variety of photo arrangement layouts so you can frame and display your best pictures anywhere at home. Upload your Instagram moments with the most likes and create a poster with your finest shots to liven your décor. Speaking of Instagram photos, we also have a variety of square photo print sizes to display your favorite snapshots. From 5×5 photo prints and 8×8 prints to our largest 12×12 prints, you can showcase your Instagram pictures on the best quality prints online! Adhesive Photo Prints instantly transform any bland wall into a gallery of color and character. We offer a range of custom peel and stick posters in varying sizes to showcase your favorite photo and lighten up your décor with a personalized touch! Easy to apply or remove, they are extremely versatile and are constructed of a durable, high quality fabric so they last year after year. Photo wall clings are a great idea for decorating basement dens, kids’ bedrooms, playrooms and more! Decorating your home with photos is a great way to add character, color and a personal touch to your environment. Print pictures online in a variety of sizes for framing around the house. From bookshelves and table tops to focal walls, you can easily print pictures online for framing and add life to your home. Maybe you have a favorite family snapshot taken on a camping trip last year. Our cheap 5×7 photo prints are a great option for framing and displaying on your living room side table. If you have a wall above your sofa that needs decorating, our 24×36 poster print is ideal. Buy a 24×36 matted frame and add your poster print to decorate your wall with personality. Our extra large photo prints make stunning wall art that’s simple and unique. For more wall art ideas, check out our wall décor collection and photo canvas prints to display your photos in other creative ways! There’s nothing more personal than a treasured photo. Why not order professional photo prints and give them away as gifts to friends and family. Whether it’s the holiday season, Mom’s birthday or a best friend’s housewarming, framed photo prints and personalized photo albums are a present that are guaranteed to be well received. Plus, we have so many sizes to choose from. Order 8×10 prints or make a photo poster print with our 24×36 size. If you have a some iPhone or Android photos that would make great gifts, try our 8×6 prints for the perfect fit. With RitzPix, the sky’s the limit. No matter who’s on your gift shopping list, you can make a poster from a picture online or fill up an album with high quality prints to create something special for a loved one. For Mom’s birthday, why not frame a poster sized print of her dog. Or, print a series of vacation memories for a small 4×6 album and give it to your friends as a thoughtful gift they’ll love. Need to print pictures to keep up with your personal album, find a quick, easy gift or add a personal touch to your wall décor? Log into RitzPix, upload your photos and print pictures online for any occasion. Customize your own cropping and order matte finish photo prints, classic glossy photos, or even metallic photo paper prints. Choose from an array of sizes including 4×6 prints, 8×10, 20×30 or even square 12×12 prints to perfectly fit any photo. Placing your order is simple and the benefit of having a tangible copy of your favorite memories lasts a lifetime! "Love it, or leave it"
Your satisfaction is our #1 priority. We are confident that you will like our product. 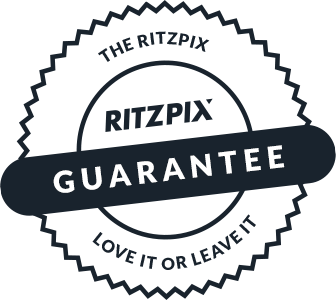 If you don't absolutely love our product, you may return it at any time for a full refund.